Preferred Service Facility in The Finger Lakes Area! 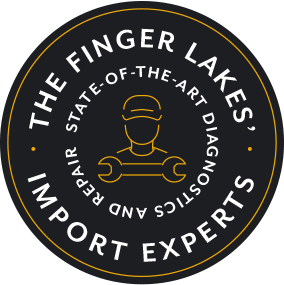 Our name represents the community we love so much–FLX Auto Group, as in The Finger Lakes. This team of specialists has a diverse history of service and repair experience, from high-end auto repair services to RVs to 4x4s. However, it takes more than an extensive resume to be a part of our shop. Our customers can expect speed, integrity, and service expertise – but that’s not all. We go the extra mile by treating each and every customer like family. Customers keep coming back to us because they remember how they were treated the last time. Motorists throughout this area have a lot of options in auto service facilities, but there’s ONLY ONE FLX Auto Group. We come from a background educated and trained by top-notch institutions like UTI and Alfred State-SUNY College of Technology. The education and professional training continued all the way across the country in California at dealer shops like Nissan Motorsports. The FLX Auto Group’s team brings a wide array of experience from auto repair shops nationwide. They have taken the knowledge and expertise that they’ve learned from some of the country’s largest and highly regarded independent shops and dealerships and brought it here to you. Our talents have always been evident at whichever shop we landed. It was only a matter of time before we opened our own facility, where we’ve maintained a large number of our client base. We welcome all motorists to experience our next level auto services. You can be confident once again when you come to a trustworthy repair shop. Make us your first stop to find out the true condition of your vehicle. Avoid time-consuming misdiagnoses and unnecessary repairs by trusting our team with advanced engine and electrical diagnostic equipment, or by letting us help your car pass inspection with our qualified mechanical work. We handle it all right here–the only service provider for older model campers and RVs in this area, all 4×4 services, and high-end European import service. We’re here to meet your vehicle’s needs. Nothing makes us happier than seeing you get the biggest return on your investment. That means, extending your vehicle’s road-life, making sure it operates at optimal efficiency and enhancing its overall performance. We stand confidently behind all of our repair services with a 12 Month / 12,000 Mile warranty. Our quality RV services also come with a 90 Day guarantee. We hope to remove all of the stress and hassle out of your service experience by making it more convenient for you. Life doesn’t stop just because you need service, but fortunately, you’re dealing with FLX Auto Group, so we’ll provide loaner cars, after hours drop-off/pick-up, and same-day service. We also gladly accept our walk-in customers, who we invite to stop by the next time they’re in the area.